So you’ve just decided to start playing guitar, or you’ve tried to learn before and you didn’t get past the first few pages of Mel Bay’s Guitar Method book 1. I don’t blame you. 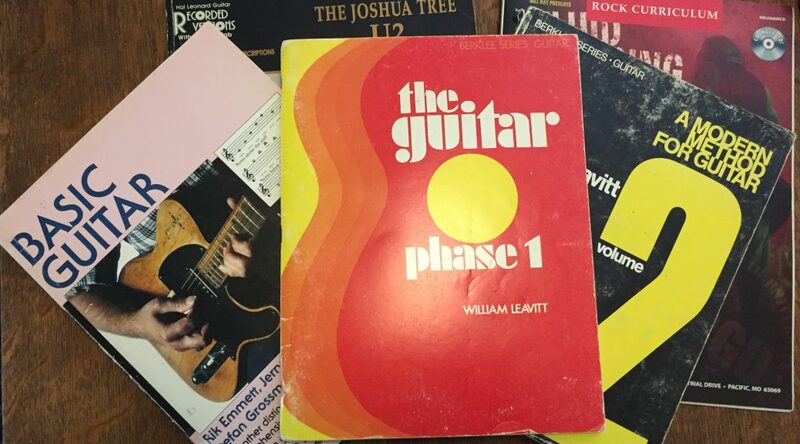 While I have absolutely nothing against Mel Bay (one of the biggest publishers of guitar books), starting with a method book, while informative, may not be the best approach to keep your interest at the early stages. While there are many great beginner choices, I’ve decided to go with songs that are relatively easy to play and are popular. So you can get a lot of mileage out of these. I’ve omitted “Smoke on the Water” for reasons you can imagine! I’ve also chosen tunes that are in a variety of genres so as a budding guitarist you can be versatile in your playing. I hope to expand on each genre in subsequent posts. There are many many other songs I could list here, but hopefully these will spark some ideas. The tunes above will be easy in their original key. With a lot of songs, you can make them easier by changing the original key to G or C, simplifying the strum pattern, and/or simplifying the chord voicings. Sign up for a guitar lesson today!